Buy a 1586A Super-DAQ together with a Fluke Calibration heat source and save 15%. Save time and money by using a 1586A Super-DAQ Precision Temperature Scanner and a Fluke Calibration dry-well, fluid bath, or furnace to automate the calibration of up to 40 temperature sensors—simultaneously, without requiring a PC or software. With accuracies as good as ± 0.005 °C, the 1586A can read RTDs thermocouples, and thermistors at up to 10 channels per second. Calibrating multiple sensors simultaneously saves time. Automating the process lets you set up a test and walk away to do other work, enabling you to become much more productive. 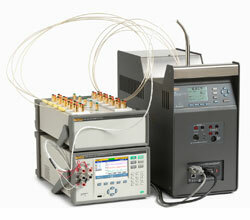 Use the 1586A Super-DAQ to automate sensor calibration. 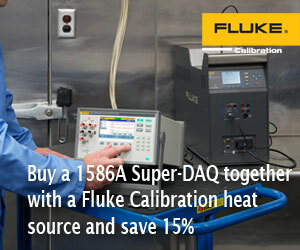 Now buy the 1586A together with a Fluke calibration heat source and save 15% on the total bundle. This action is valid till December 31st, 2018.